I love making plans and have plenty of Moleskine notebooks to back me up. 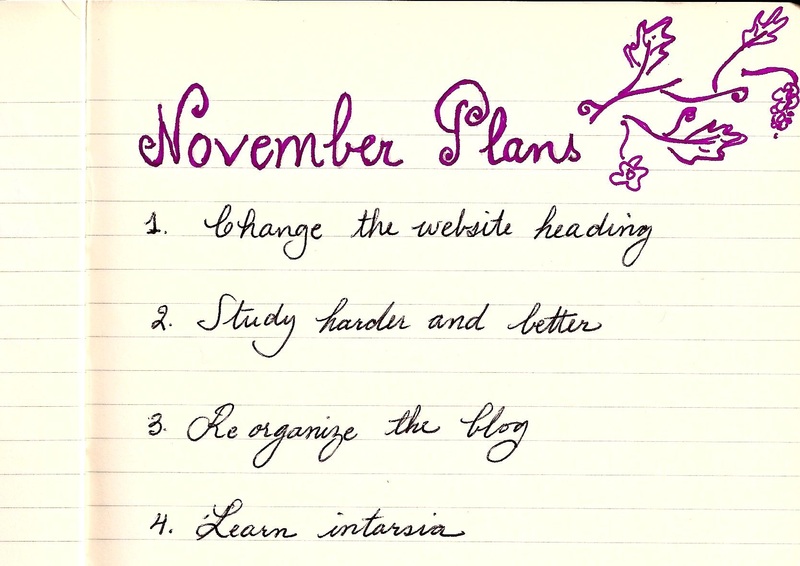 I have decided to share my monthly plans on my blog with everyone. 1. Change my blog’s home page – I have been wanting to do so for so long but never actually got the time to. Seriously my home page is a bit hideous and I think I need a new header to make it look more pull together. Right now it’s kind of a mess. 2. Study harder and better – if someone tracked my study habit the conclusion would be that I am not spending enough time at all for a graduate student. Laziness? Overwhelmed? Who knows. So for November I want to really reminding myself why I got into graduate school and why I need to work harder in order for it to be successful. 4. Learn intarsia – I am not even near mastering multiple color knitting. I have decided to learn it on my own even if it looks totally dreadful. Bring it on! Most of all I am looking forward to Thanksgiving. Can’t miss the turkey and gravy…well hopefully by then we are able to get gas in NYC. I’m a plan maker too… Not always so great at sticking to them!